There are 22 freshwater swimming holes on Cape Cod that are in the Town of Harwich! Almost all are pristine and great places to spend an afternoon. Some have easy access, like Long Pond, and others take a little bit of a hike to get to. Remember, even in the height of the Season, there is always somewhere you can escape to on Cape Cod. The fresh water swimming holes of Harwich are a local’s alternative to the busy beaches of the Outer Cape. 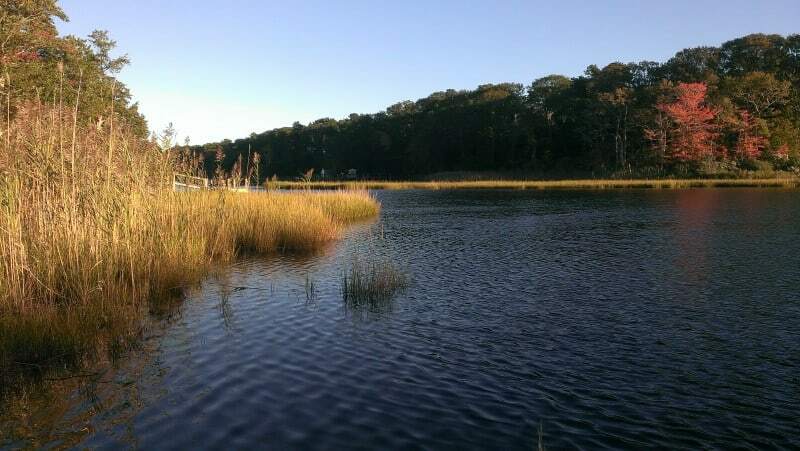 Most swimming holes on Cape Cod that are in Harwich are kettle ponds, which means they were formed by melting ice blocks as the glaciers retreated, around 18,000 years ago. The ponds have incredible visibility because the soil is primarily sand and granite. If you want a fun day, think about grabbing a picnic lunch and heading to one of these refreshing swimming holes in Harwich. Sandy beaches, less crowds, and the opportunity to explore the many trails that line the ponds make for an unforgettable day. There are lots of swimming holes on Cape Cod to explore, some of the more popular, easier access ponds in Harwich are listed below. Long Pond – on the northern border of Harwich and Brewster, this pond is one of the largest and deepest (66 feet)! There is a beach area off of Long Pond Drive on the south side and another off Cahoon Road on the east side. If you have brought a kayak (or Stand Up Paddleboard) or decide to rent one, this is a great lake to explore. If you tire of Long Pond there are 5 other ponds close enough to portage your kayak (or SUP) to with a small hike. The Cape Cod Rail Trail also runs along its western edge and connects with Seymour and Hinckley’s Ponds. West Reservoir | Bell’s Neck Conservation Lands – just north of the Platinum Pebble Boutique Inn, the West Reservoir is where you can spot the Herring run mid-Spring. The Herring ladder is at the southwest corner of the pond and connects the West Reservoir with the Herring River. The Herring River runs south all the way to the Nantucket Sound and is another great spot for kayaking, SUP, crabbing, and/or fishing. There are multiple trails that surround the lake and wind their way through the Bell’s Neck Conservation Lands, a place to enjoy an early morning or afternoon walk that will quickly become one of the highlights of your stay. Seymour Pond – Seymour Pond is just west of Long Pond, the bike trail splits the two ponds. 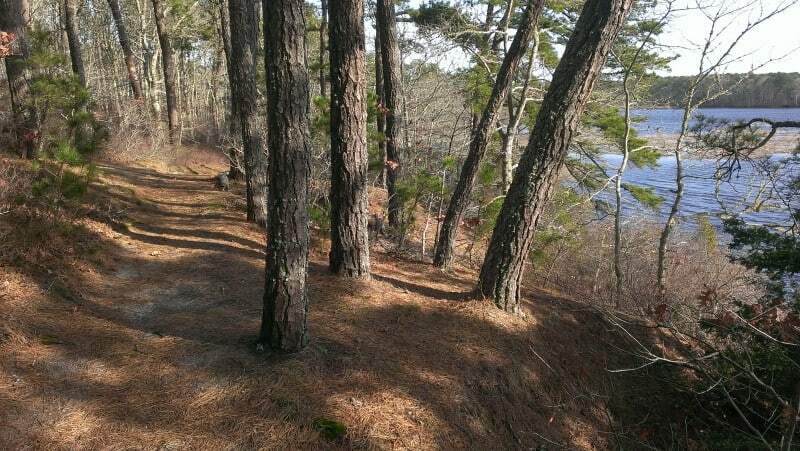 The best access, and use, for Seymour Pond is right off the Cape Cod Rail Trail. There are some benches, a sandy beach, and refreshingly cool water to jump into for a quick cool down after peddling the miles of bike trail. 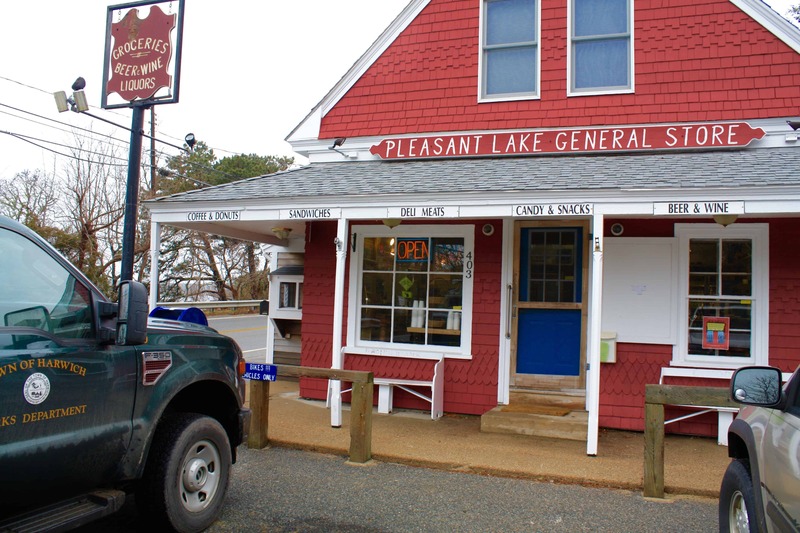 There is even a picturesque store to drop into, the Pleasant Lake General Store, if you want to grab a sandwich or a drink. The Platinum Pebble Boutique Inn is minutes from the best of Harwich, check here for special offers/packages before booking online. 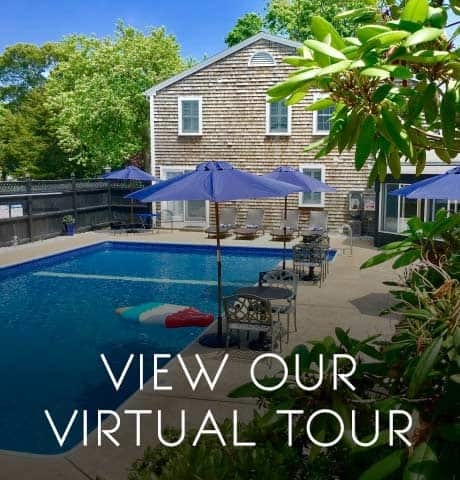 If you are interested in taking a virtual tour of the Inn, please click below. Subscribe now for regular updates!